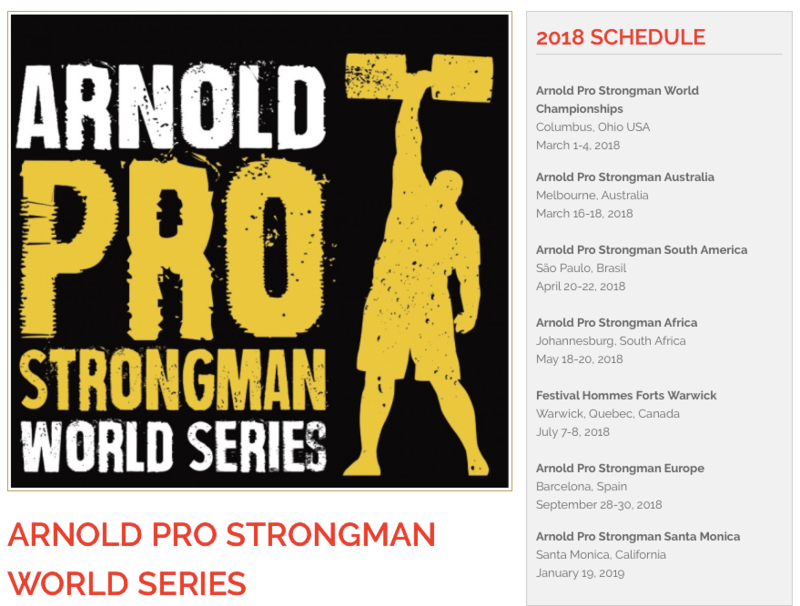 Home /Arnold Classic, News, Strongman News, Upcoming Contests/Arnold Pro Strongman Santa Monica 2019, A New Arnold Pro Qualifier?! We reached out to Arnold representatives and were told “Arnold Santa Monica is on” and that it will be a last minute qualifier and invite only. There should be more information and an official press release later this week. There is only listed as 7 qualified athletes for the Arnold classic in 2019 now though. There is a three way tie in the points standings between Mateusz Kielszikowski (Poland), Jerry Pritchett (USA) and Matjaz Belsak (Slovenia) with 25 points a piece for the now I assume 2 remaining wild card spots after the winner of Santa Monica which should also qualify. Dimitar Savatinov is the next closest in points with 20. There is no mention of events, athletes or even where the exact venue is but this is a last chance qualifier for someone else low in the points to earn a spot and possibly kick one of the three points leaders out.